New. 2013. 1st Edition. Paperback. 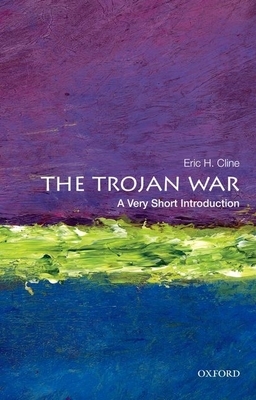 Using a combination of archaeological data, textual analysis, and ancient documents, this Very Short Introduction to the Trojan War investigates whether or not the war actually took place, whether archaeologists have correctly identified and been excavating the ancient site of Troy, and what has been found there. Series: Very Short Introductions. Num Pages: 152 pages, 8 b/w halftones, 2 maps. BIC Classification: 1QDAG; 3D; HBJD; HBLA1; HBW; HRKP3. Category: (G) General (US: Trade). Dimension: 145 x 174 x 8. Weight in Grams: 138......We ship daily from our Bookshop. Good. Trade paperback (US). Glued binding. 130 p. Contains: Illustrations, black & white, Tables, black & white, Maps. Very Short Introductions. Used, Acceptable Condition, may show signs of wear and previous use include highlighting and writing. No guarantee on products that contain supplements. Please allow 4-14 business days for delivery. 100% Money Back Guarantee, Over 1, 000, 000 customers served. New. Trade paperback (US). Glued binding. 130 p. Contains: Illustrations, black & white, Tables, black & white, Maps. Very Short Introductions. New. Trade paperback (US). Glued binding. 130 p. Contains: Illustrations, black & white, Tables, black & white, Maps. Very Short Introductions. In Stock. 100% Money Back Guarantee. Brand New, Perfect Condition, allow 4-14 business days for standard shipping. To Alaska, Hawaii, U.S. protectorate, P.O. box, and APO/FPO addresses allow 4-28 business days for Standard shipping. No expedited shipping. All orders placed with expedited shipping will be cancelled. Over 3, 000, 000 happy customers. Fine. Trade paperback (US). Glued binding. 130 p. Contains: Illustrations, black & white, Tables, black & white, Maps. Very Short Introductions. In Stock. 100% Money Back Guarantee. Brand New, Perfect Condition, allow 4-14 business days for standard shipping. To Alaska, Hawaii, U.S. protectorate, P.O. box, and APO/FPO addresses allow 4-28 business days for Standard shipping. No expedited shipping. All orders placed with expedited shipping will be cancelled. Over 3, 000, 000 happy customers.